Magazinzoo.com Reviews Everyone Loves Fancy Dress, and Pusheen is No Exception! 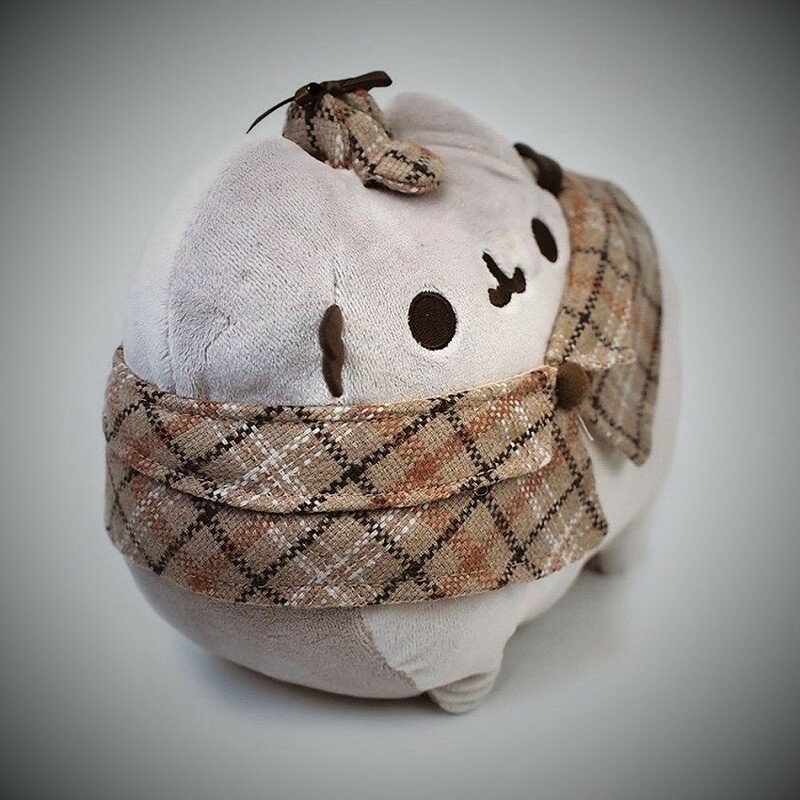 Everyone Loves Fancy Dress, and Pusheen is No Exception! Hello Loyal Followers, Pusheen here! As you are well aware my world is full of fun and cuteness, and that’s just how I like it! When I’m not enjoying yummy snacks or getting lots of lovely cuddles I like to spend my time getting dressed up. You can’t beat fancy dress, it gives you the opportunity to try out being someone else for a while. I’ve tried out many characters, but I must say I like being me the best! However, I’m sure you’re interested to hear about my wonderful costumes, so I’ll happily tell you all about some of my favourite outfits. I’ve always been a fan of Sherlock Holmes, he’s a little like me, very inquisitive (us cats are known for our curious nature, as I’m sure you are well aware) and very bright. I like to find out the facts and I’m very thorough, I have to be, after all I pride myself on providing spot on advice on all manner of topics. This detective outfit looks superb on me I must say, the traditional tartan material of the coat really brings out my soft grey fur, and I couldn’t resist the matching hat! Sherlock has one just like it, he obviously likes my style! You will just adore my stunning mermaid costume, it’s too cute! The tail is a beautiful pale blue/green in colour and my seamstress has spent time adding pretty pink stitching to the scales to make sure they really stand out. The flippers are also pink, as is the edging around my waist. I just had to have the yellow star hairclip that goes with it. I thought about trying to use a real starfish instead but I thought that might not work too well, as I believe starfish like to spend much of their time below the sea? Hmmmm, I’m not too keen on that idea, I don’t think I would look very attractive with soggy fur. I prefer to pop on my mermaid outfit and lounge by the fish tank! I’m not sure why humans insist on adopting goldfish – they really aren’t very interesting, they just swim around in circles! Yawn. I sometimes like to pretend that I am a smart Victorian tom cat going about his business in the big city – and for this I like to wear my “fancy” outfit. It consists of a fake moustache, a rather dashing top hat, and of course my trusty monocle. I look rather dapper if I do say so myself! Brrrr, winter is certainly on the way! I much prefer the warmth of the fire to a wintery garden. However, we don’t get that much snow, so I understand why you humans feel the need to rush outside to throw snowballs and build snowman as soon as a few flakes fall. You are funny creatures, and I do adore watching you all as you play outside! In the spirit of all things wintery I have decided to join in by sourcing my very own snowman outfit. The pure white outfit covers my grey fur from head to toe and also comes with a cute top hat and a fetching pink scarf. This is one of my favourite costumes, you can barely even see it’s me! The green outfit completely covers my fur and the dinosaur spikes on my back are very convincing! Even my tail looks amazing and also has the pointy spikes. I can hide around corners and then pop out and scare everyone as they walk past! Great fun! When I first looked in the mirror I thought I looked too cute to pretend to be a dinosaur, but I’ve been practising my grumpy face and now I think I look pretty fierce! Next Next post: Would you know what to do if a fire broke out?